Portable vape pens are a great way to vape on the go. Especially dry herb vaporizers, as they’re small, discrete, easy to stash out of sight, and produce very little smell compared with smoking. What follows is a quick guide to the things you should consider when buying a vaporizer pen so that you’re sure to get a unit that best serves your needs. How to buy a vape sounds easy, but not all are made equally. Nearly all vape pens are portable. That’s the point. However, some are smaller than others, and some can take attachments, like glass water chambers, that greatly increase their size. And not all portable vaporizers are pens. There’s a wide variety of body shapes and styles. Make sure to choose a portable vape that fits where you’re likely to carry it. 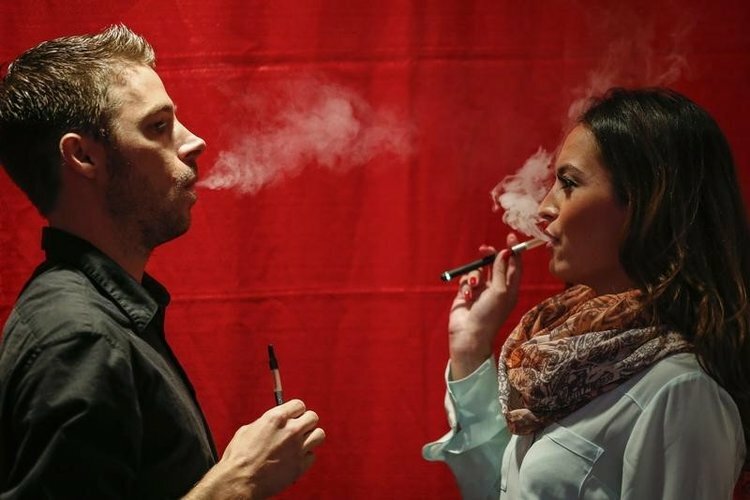 Portable vape pens use one of two heating methods, conduction or convection. Each has its strengths and weaknesses. Most of the dry herb vaporizers today use conduction heating. This simply means the material is heated by making direct contact with a hot surface, generally the inner walls of the heating chamber. Conduction vapes heat up faster than convection vapes but also have a better chance of accidentally combusting your material at higher temperatures. And because the heating happens at the edges, the material in the center doesn’t heat as readily, requiring occasional stirring to get an even vape. However, because conduction vapes are easier to build they’re generally less expensive. In convection vapes, your material never comes into direct contact with the heat source. Instead hot air is pulled through the material, giving you a more even heating. This means convection vapes will evenly vape all of the material in the chamber, no stirring necessary. However they’re generally more expensive and there are fewer choices available. In general convection vapes are only necessary for the discerning bud connoisseur. The rest of us rabble will do fine with less expensive conduction units. Many portable vape pens are made specifically for use with either dry flower or concentrates. If you favor one over the other and rarely, if ever, switch then it’s best to get a unit made to work with your preferred form of cannabis. There are units that will work with both but the old adage, “jack of all trades, master of none” applies. Multi material units will almost never perform as well with a specific cannabis product. That’s why it is suggested to use a dry herb vaporizer if you prefer the flower form of marijuana. But if you enjoy both forms, by all means get an all-in-one. Just be sure to read the reviews. Some work better than others. 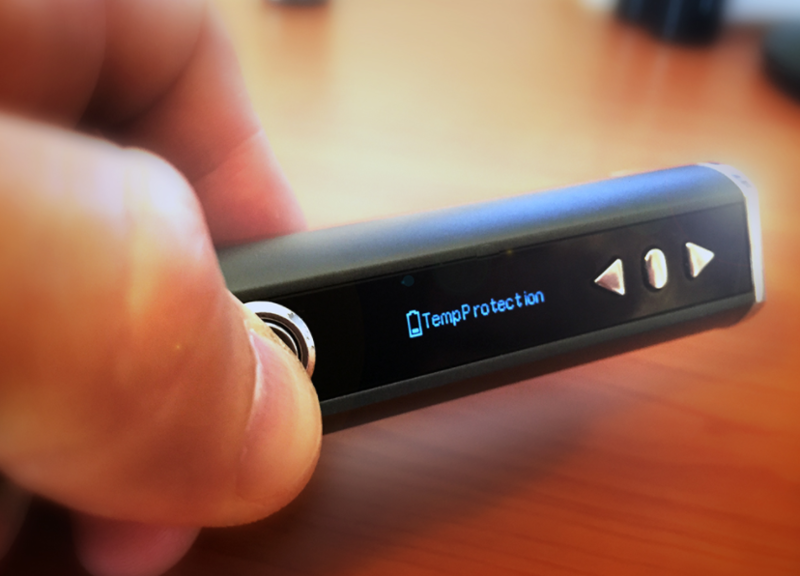 Some hand held vaporizers permit users to adjust the temperature with a dial or button control as they see fit. This is great for users hoping for very specific control over the vape temperature. For others, you can find dry herb vaporizers that offer only general temperature ranges like low, medium, and high. For some, that works for them. But if you’re going for specific cannabinoids, specific temperature control is vital. The best temperature depends on the specific herb and how well its grinded and how tightly packed the bowl is. For example, THC vaporizes at 315° F, while CBD vaporizes at 356° F. To truly customize your vaping session, it’s great to be able to specify an exact heating temperature. If that’s appealing to you then search for a vape that has this temperature control. When deciding what vape to buy, you’re going to need to think back and take into account an average session length. Depending on the portable vapes design, some are suited for social, group sessions with a large number of people, where all the cannabis is loaded into the chamber and consumed in the one session. Others are great for a single session, where as the same bowl can be vaped over multiple occasions. The difference is mainly battery life and chamber size. Some vaporizers are powered by rechargeable batteries, while others plug directly into the wall. You’ll need a battery that can last through an extended group session and a larger chamber for more product if that sort of use is more common for you. Smaller chambers with shorter session lengths are ideal for solo users. Dry Herb Vaporizers occupy a wide range of price points, from $40 to $50 dollars, up to $400 or more. Whether you consider a given price expensive is really relative to your individual buying power, so we won’t tell you whether you’re spending too much. There are good vapes to be found in the $70 to $100 range and excellent vapes in the higher price ranges. But you’ll find very good products in the mid-range as well. If you can afford an expensive vape, go for it. You’ll likely be pleased with its performance. But if these are too rich for your blood, just do your research. The lower the price the more likely you’ll encounter trade-offs. Read reviews to find a unit that performs well at the price point you can afford. Ready to Select a Dry Herb Vaporizer? If you really dive into what’s out there you can easily become overwhelmed. There are a LOT of units available online today. If too much choice makes your head spin, consider making a trip to your local smoke shop to talk with the salespeople. When it comes to a dry herb vaporizer, they’re generally pretty knowledgeable and can help you narrow down your search. This entry was posted in Cannabis 101 and tagged Vaping Cannabis.